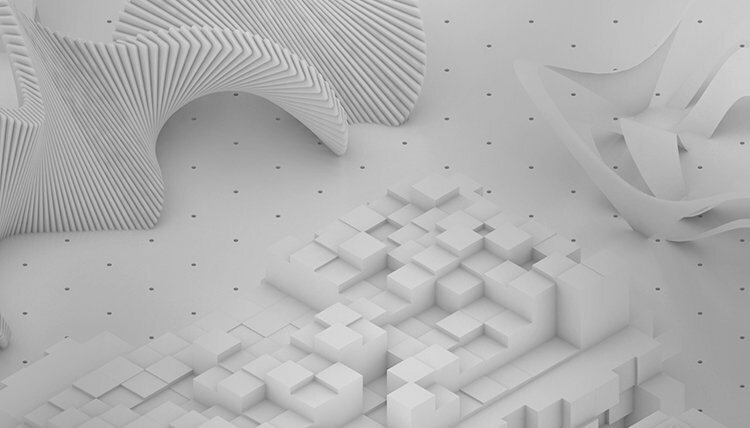 As part of our commitment to supporting young talent, Vectorworks and our Swiss distributor ComputerWorks AG sponsor the Foundation Award program in Switzerland. We are proud to announce that JOM Architects in Zurich, Switzerland has won this year’s award that supports young Swiss architecture firms. 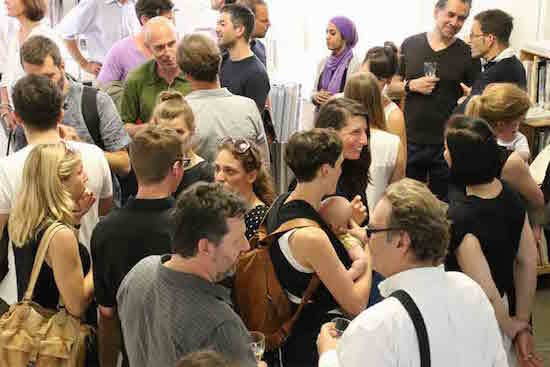 The firm is led by three agency partners, each with different backgrounds and focuses, who combine their design philosophies to demonstrate the productive potential of heterogeneous mindsets. 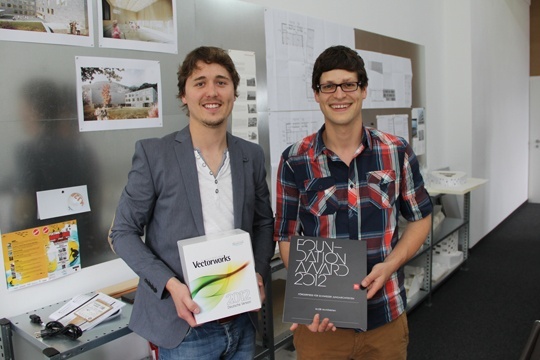 Young Swiss architects are proving that Vectorworks software is the best tool for the job as all three winners of the Foundation Award 2013 use the program for their innovative design work. 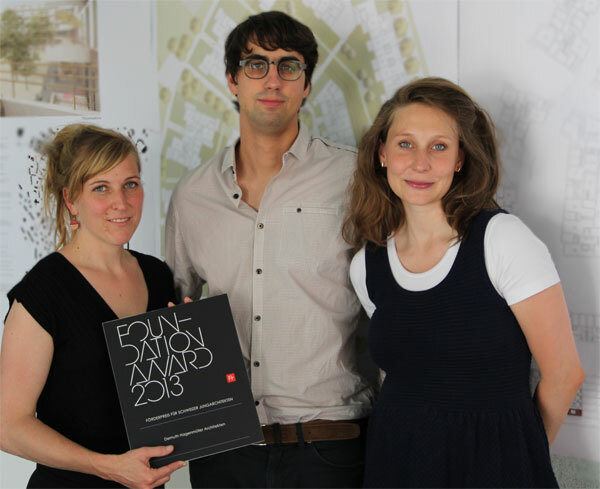 This prestigious, annual Swiss award program recognizes firms that demonstrate a high quality of architectural skill and were founded no more than four years ago. 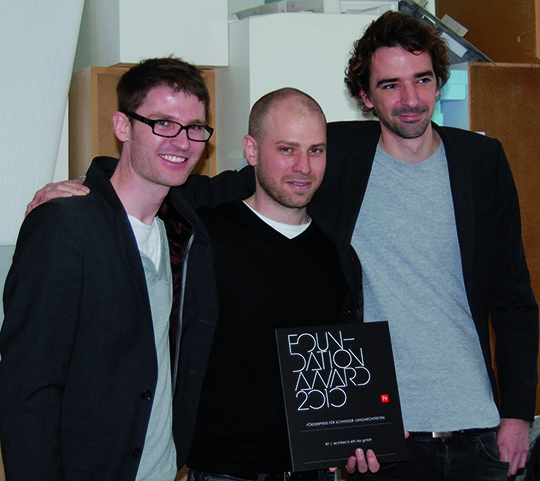 Congratulations to Manuel Jüni and Beat Buri of MJ2B Architekten, winner of this year’s prestigious 2012 Swiss Foundation Award. The new visitor center for Rhine Falls at the castle Laufen was recently featured as “Project of the Week” on swiss-architects.com. Leuppi & Schafroth Architekten AG, who have been drawing with Vectorworks since 1995, were responsible for this unique design. 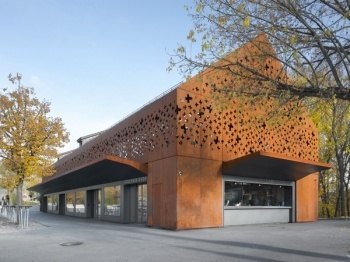 The difficult task of transforming an existing staff house into a public building—integrating a souvenir shop, bistro, public toilet facilities, and a multi-purpose hall under one roof—was accomplished by extending the building and developing a new skin that wraps the entire structure.